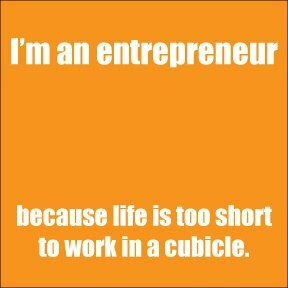 Today I met this nice picture about entrepreneurship from MIT Entreprise Forum, Pan Arab Region. Actually you might think of entrepreneurship as a way of living a restful life where you are the master and all your wishes come true. If this is your imagination please do yourself a favor and look for a full time job.
" Success is like pregnancy, everybody congratulates you when you're pregnant but nobody knows how many times you were fu#ked to achieve it "
Same here with entrepreneurship. You fail 100 times and nobody knows or cares but when you make it everybody thinks that you're lucky. It's not about luck, you just don't see the failures which by all means are much more than the successes. If you're not ready to fail and fail and fail and try harder and smarter every time then don't waste your time, DO YOURSELF A FAVOR AND GET A FULL TIME JOB!